Tennis is a relatively simple proposition, hinging on the relationship between Alaina and Patrick. Husband and wife, songwriter and songwriter, Tennis match shimmering indie pop to subtle undercurrents. New album 'Yours Conditionally' is a welcome return, with the pair continuing to absorb new elements while retaining that bittersweet flavour. Out next month, it's the sound of two people moving forward while enhancing the bond that exists between them. George Elliot's Middlemarch has a special place in my heart. She is a feminist icon and a true inspiration to me. Patrick's a huge fan of Carson McCullers' The Heart Is A Lonely Hunter. Our favourite joint-reading experience was Infinite Jest by David Foster Wallace. That was a wild ride. The first chapter of Infinite Jest is my favourite first chapter of any book I've ever read. We do a lot of reading on the road or when we're sailing. When we're making music not so much. Our heads aren't in the right place. Neither of us have cracked a book in weeks. I'm not proud of that. What other authors do you like? I've been reading a lot of non-fiction. The Argonauts by Maggie Nelson, H is for Hawk by Helen Macdonald, Patti Smith's memoirs, and Patrick reads a lot of Thomas Pynchon. What draws you to certain books? The cover. I totally judge a book by its cover. Also the era in which it was written. I love Victorian lit, I don't even care who wrote it. I care more about language than story-telling. I could read about anything or anyone as long as I enjoy the author's voice. Have you ever discovered a real lost classic? What is it and why? I wouldn't call it a lost classic, but I discovered Steinbeck's The Log From The Sea Of Cortez while we were sailing in the Sea of Cortez. I found it in a thrift store in San Jose del Cabo. We were sailing the exact same route hitting almost all the same ports Steinbeck had in 1940. I enjoyed reading it throughout our voyage purely for the fact of our synchronicity. Otherwise it's a real bore. Do your literary influences have a direct impact on your songwriting? Sometimes, yes! I wrote Deep In The Woods after reading We Have Always Lived in the Castle by Shirley Jackson. That story really impacted me - but I usually consider the two mediums separately. I have totally different concerns with songwriting, like the way the words sound when they're sung. Melody always comes first. Right now I'm reading a collection of essays, The Best American Travel Writing. I'm working on making my own ship's log readable. I'd like to publish it eventually so I'm doing some research. What is the first book you remember reading as a child? I think the first book I chose to read on my own that really blew me away was Walter Scott's Ivanhoe. I'm 99% sure I discovered it watching Wishbone on TV. Do you have that show in England? That show was amazing, it's about a dog that can't get enough of classic literature and imagines himself as the lead in every story. It's seriously so good! Did you make good use of your library card as a child / teenager? Yeah, I home-schooled growing up so my mom took me and my siblings on weekly library trips. My education was pretty informal. It was more like a great books education where you just read constantly and write reports about it. Have you ever found a book that you simply couldn’t finish? I had to push myself through Women In Love by D.H. Lawrence. I wanted to like that one more than I did. I almost quit Infinite Jest and I have mixed feeling about the ending. I think the only book I put down and never picked back up was Simone De Beauvoir's She Came To Stay. I hated the characters, they got exhausting and I didn't care what happened to them. Normally I am very committed to finishing books. I hate unfinished work. Would you ever re-read the same book? Yes, I'm gearing up for a re-read of Middlemarch. I'm going to read it every ten years until I feel like I've totally absorbed it. I'm also re-reading some things from high school that I didn't appreciate the first time like Hemingway and Fitzgerald classics. Have you ever identified with a character in a book? Which one and why? Actually... no, never. I've never even thought of that before. I really identify with that dog Wishbone from the TV show though. Do you read one book at a time or more than one? One book at a time, as a rule! Otherwise I wouldn't finish anything. Is there an author / poet you would like to collaborate with? This is going to sound terrible but I'm not a good collaborator. I like to work alone. Patrick and I barely collaborate with each other. We kind of write separately and then finish each other's ideas. But there is an author/poet I wish I could BE and that's Patti Smith. 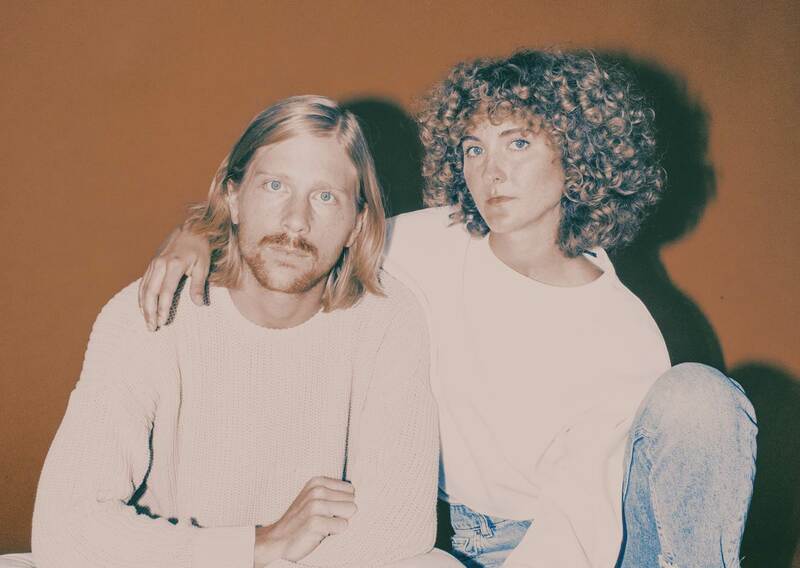 Tennis will release new album 'Yours Conditionally' on March 10th.